Here at our offices on Commonwealth Avenue in Boston, many of us remember a sad day in December 2012. That's when 23-year-old Christopher Weigl was killed by a tractor-trailer while he rode his bicycle. 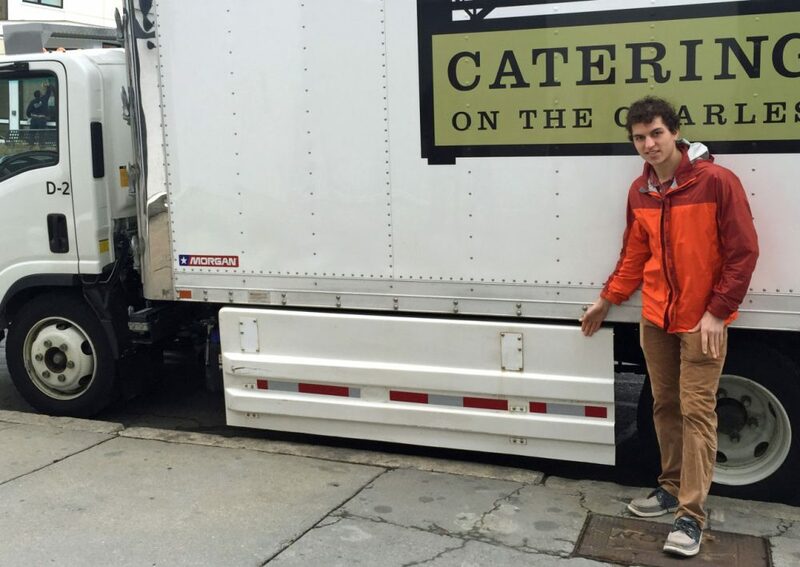 Weigl, a grad student, was in his designated bike lane and had a green light when, according to the family, a tractor-trailer made a right turn, what is known as a "right hook," and collided with Weigl, who was crushed under truck's tires. No criminal charges have been filed in the case and the family is suing the driver and the trucking company. But outside of court, Christopher's brother Dustin Weigl is trying to make sure that what happened to his brother won't happen to anyone else. He is pushing for trucks of a certain size to have what are called side guards, that aim to prevent pedestrians, cyclists or motorcyclists from being swept under the truck's tires. “It’s a big metal sheet that’s covering the gap between the front and rear wheel,” Dustin told Here & Now's Robin Young. "The side guard can help turn what would be very likely a fatal accident into just an accident that someone could potentially just walk up from and walk away on their own." Dustin says the side guards also improve the aerodynamics of the trucks, making them more fuel efficient. Dustin Weigl, Boston area resident pushing for new truck safety standards. This segment aired on March 17, 2016.